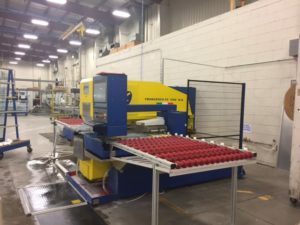 Qual ity Glass Inc. recently acquired a new machine that will help us increase efficiency and continue to deliver the highest quality glass products to our customers. The Forvet Francesca 1250 came from Italy and is already having a huge impact on our volume and efficiency. 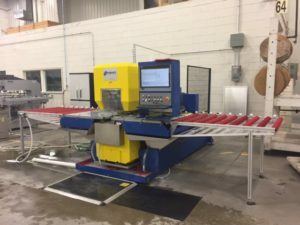 The Forvet Francesca 1250 is a fabrication machine that allows for rapid and precise drilling and milling of glass. 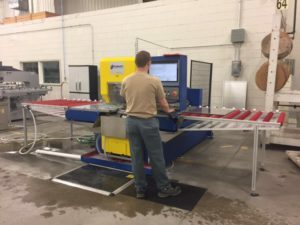 This new machine will serve as a backup to the CNC machine we currently have, allowing for an increased volume of glass fabrication. The Forvet Francesca 1250 utilizes the latest technology in glass fabrication. 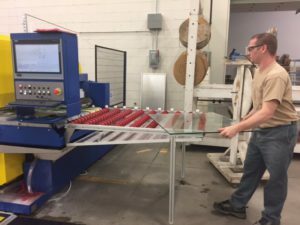 We are excited about the new opportunities this machine will provide so we can continue to bring you the highest quality custom glass. 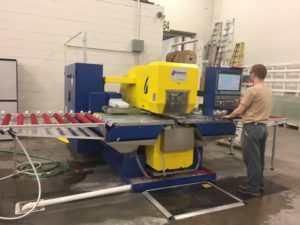 At Quality Glass, we are constantly striving to be the industry expert in glass, and this machine is one more way to ensure we are providing you the best products and service. Long-time Quality Glass employee Jeremy Hare is seen here operating the Forvet Francesca 1250.